For everyone working with bluecove Bluetooth library in Processing / Java: It stopped working on OS X 10.8 due to deprecated functions and there’s no maintainer anymore. Hochschule Hof / Campus MÃ¼nchberg. Hof University / Campus MÃ¼nchberg. A simpler version of Norman Papernick’s Processing portÂ ofÂ Wobbrock et al’sÂ $1 Unistroke Recognizer. 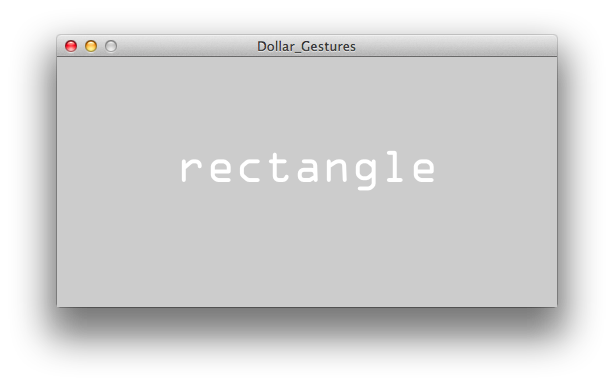 Moved the gesture processing in a separate file and simplified the main file. 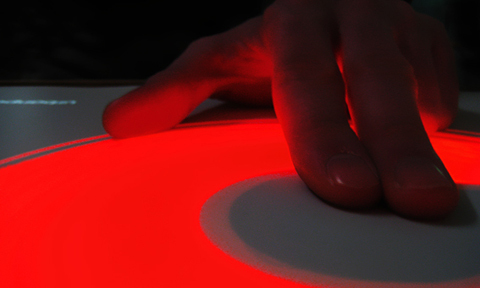 Thus it’s simpler to adapt for finger tracking with Kinect. PointCloud: How does it work? PointCloud is an iOS App that expands a Webkit Browser with advanced Augmented Reality features. Thus you can stick for example a DIV with video, images or even Processing.js sketches onto images or objects in reality. I simply took a reference image of Wil Wheaton’s t-shirt and stciked an SVG / CSS 3D animation to it. The result is an perspective emitter of stencils. PointCloud’s documentation isn’t complete yet. They are providing someÂ examples, which are too complex for learning and aÂ PDF documentÂ with further descriptions. They are still lacking a complete API reference. But i know that documentation is hard work and they just released their software. I reduced their example to a minimum. It’s only initializing and tracking one image. Therefore you have to link an image in the head of the document. The image has to be on a public server on the internet in order to be downloaded and processed by PointClouds server. A local web server doesn’t work. That’s it. Load your file in PointCloud browser and fine tune the positioning. Testing Processing JS WordPress Plugin by Keyvan. Works great as soon as i disable WordPress should correct invalidly nested XHTML automatically in Settings / Writing. Otherwise Wordpres adds i.e. </width> when using i<width in a for loop. i am sure that if ben fry and casey reas would start processing today they would use python instead of java. learning the short and efficient python is much easier than the statically typed and lengthy java. no compilation would be necessary anymore, tons of native libraries would be available via c-bindings, etc. nodebox is a nice example of the use of python for computational design. unfortunately it is restricted to os x.
today we are using python for all sorts of automated code generation in wuerzburg. one example is the conversion of fluid simulation data into x3d files for our coperion project. 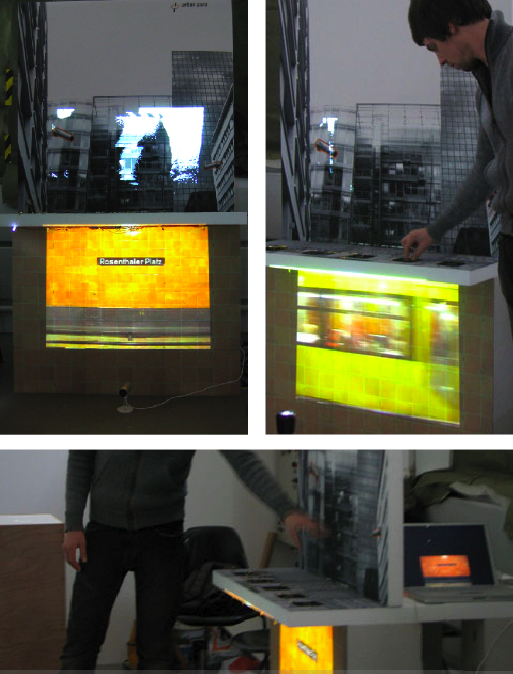 jan and sebastian are using this approach for their simulated cities of their master projects. i started a short proof of concept of a python based processing. jython is an implementation of python in java. with its help it’s possible to write code with the processing api in python language. a minimal installation for feeling the city. 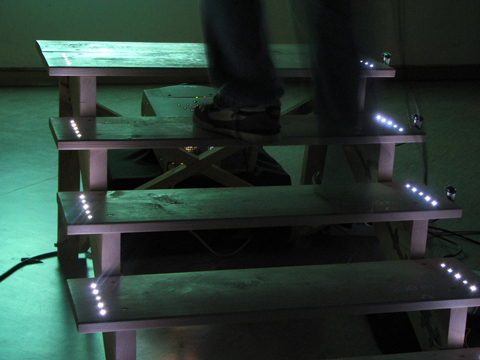 stairs act as interface for a spacial sound experience of stockholm’s city noise. 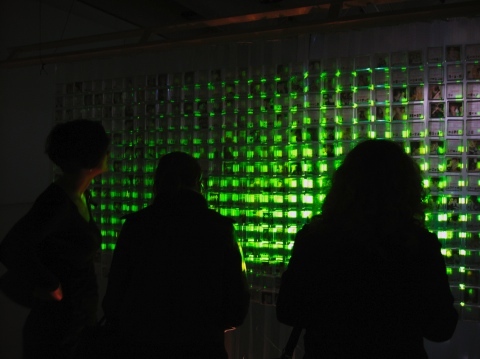 a large interactive installation about privacy issues at german facebook clone studivz. experimental protocol for the communication channel between underground metro and surface: wind and light. in accelerando charles stross’ writes about alot of interesting concepts we are just starting to work on and i am covering in my dissertation. it was one of the most important books for me in 2007. it shows how close science fiction and science get in these days. my favorite feature is superplonk. it remixes the environment and filters annoying persons, objects and sounds. that’s an augmented reality version of what i practice today with special earplugs. but soon that should be possible with modified hearing devices and slim head mounted displays. one experiment in my ongoing surveillance series simulates superplonk with images of network cameras. via motion detection i am reconstructing a place’s image without people and cars. all moving objects are becoming ghosts. only people and cars who are standing still are becoming visible. movement makes you invisible. jan covers this topic in his master thesis, too.